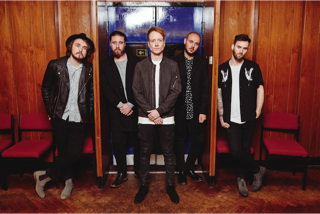 Touring in support of their new album ‘Wired’ which is set to be released on 10th March via RCA Records (Sony), Mallory Knox are one of the UK’s most exciting rock bands. They have previously released three Radio 1 A-Listed singles, sold out London’s 3,700-capacity Roundhouse, played the main stages at Reading & Leeds and Download, signed to Columbia Records in the US and reached #16 on the UK Album Chart with their last album ‘Asymmetry’. New single ‘Better Off Without You’ has also just been added to the BBC Radio 1 playlist, and debuted on the station as Misha Jam’s ‘Hottest Record’. You Me At Six are one of the most successful homegrown British bands of recent years. Having gained a reputation as being one of the best live bands in the UK, with sold out tours that have seen them headline both Wembley Arena and the O2, they had a hugely successful career to date, selling over 600,000 albums globally. 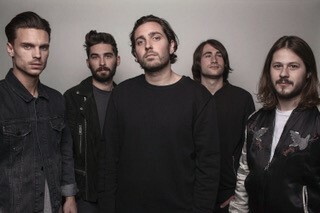 The band have had 4 Top 5 albums including a UK Number 1 with album ‘Cavalier Youth’, and again reaching the top 5 with most recent album ’Night People’. They have also scored fourteen consecutive A-list singles on Radio 1. Lead singer Josh has also become very active in the fight against ticket reselling and touts, and recently gave evidence in the House of Commons at the end of last year in a session held by the Culture, Media and Sport Committee.